Salvadoran President Sánchez Cerén’s months-long crackdown on gangs has broadened into a crackdown on proponents of negotiations with them. 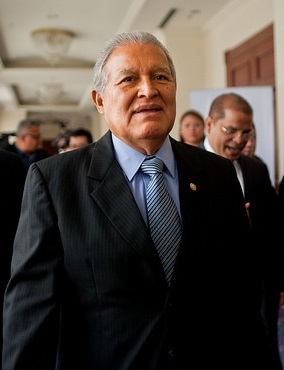 Upon orders of Attorney General Meléndez, 18 former officials involved in the past truce (covering two periods in 2012-2014) have been arrested, among them a principal mediator, former FMLN Congressman Raúl Mijango. Three others, including the former head of prisons, are on the run. Meléndez claims that the recent passage of legislation outlawing negotiations with gangs was not a factor, and that the detainees are not being held for their role negotiating the previous truce, but rather for violations of laws in place during the truce. They are accused of “dereliction of duty,” “illicit association,” smuggling mobile phones into prisons, and possible misuse of US$2 million for truce implementation. Meléndez said the government-gang pact “was not illegal” and he noted that it did help reduce reported murders, but he has asserted that it gave rise to disappearances and other violence, and allowed the gangs to re-arm and consolidate their control in some sectors. The campaign against pro-dialogue voices has left several prominent players untouched. The government has distanced itself from the activities of current Interior Minister Arístides Valencia, whose taped conversations with gangs have been revealed by the media, but he has been neither fired nor arrested. Former Security Minister (and current Defense Minister) David Munguía is widely seen as the principal architect of the previous truce (securing essential cover from the Church for it), but he too remains in place. Munguía’s name is prominent in Meléndez’s report, according to press accounts, but the Attorney General said that he lacks evidence of his involvement in wrongdoing. Paolo Luers of El Diario de Hoy (himself a secret negotiator in 2012) and others are severely criticizing the lack of charges against Munguía while others, whom they call “political prisoners,” are detained. Meanwhile, the government is deploying elite joint Army-Police units to hunt down alleged gang members in the countryside, amid growing unconfirmed reports of human rights violations. The Office of the Human Rights Ombudsman has identified 13 cases of extrajudicial killings in two operations last year. The recent arrests have caused debate to flare over the costs and benefits of the past truce and any future agreements with the gangs – as well as the efficacy of the mano dura approach. The crackdown on advocates of negotiations and the simultaneous emerging signs of death squad operations could threaten the credibility of the Sánchez Cerén government’s El Salvador Seguro strategy, which entails an array of efforts requiring political agreement on how to address the violence crisis. Amidst mounting concern about the implications of the police and army crackdown on gangs, Washington has kept a low profile on these developments. If current trends continue, however, the dual crackdowns could potentially raise doubts about the Administration’s ability to meet the human rights and other conditions that the U.S. Congress has put on the Alliance for Prosperity under which El Salvador, Guatemala, and Honduras have agreed to form and execute a common strategy against violence and other problems in Central America’s northern triangle. For previous AULABLOG items on the impact of the Salvadoran truce, click here (January 2013), here (November 2014), and here (April 2015). *This version of the blog was updated May 16, 2016 at 10:25 a.m.
CICIG’s record shows that, on balance, it has made unique, positive progress to meeting Guatemala’s need for prosecution of impunity and for reform. The Washington Office on Latin America and other key observers have given CICIG high grades because, as WOLA said in a recent report, it has provided “important investigative tools for the prosecution of organized crime … [and] helped to resolve emblematic cases of corruption and it has dismantled powerful criminal networks deeply embedded in the state.” Daniel Wilkinson, managing director of the Americas division at Human Rights Watch, told the Guatemalan El Periódico that CICIG has “almost been a miracle.” While it’s made some mistakes, he said, “The surprising thing is everything that CICIG has achieved in these years” in high-profile cases. InSight Crime notes that the recent case against extortionist Byron Lima, who had suborned the head of the prison system, was impressive. InSight Crime and others also say, however, that CICIG “has proved unable to sufficiently reform the country’s judicial system.” InSight Crime reported that, despite its $12 million a year budget, the body is still struggling to train and foster an independent judiciary – that is, encouraging Guatemalan justice to work on its own. Velásquez and his team will face tough challenges in the new mandate. There are rumors that President Pérez Molina – who previously said he wouldn’t extend CICIG under the “threat of blackmail” – intends to rein the body in, and the retrial of former dictator Ríos Montt, currently projected to be in 2017, looms on the horizon as a further test of Guatemalan resolve to deal with impunity. Nonetheless, CICIG is nearly universally seen as providing assistance that all three countries of the “Northern Triangle” of Central America need – to foment rule of law, build confidence in justice, and clean up state institutions – and it has achieved reforms when the political will was sustained. CICIG’s status as an advisory body in support of the government has enabled it to finesse the legal and political need to fully respect sovereignty. Honduran and Salvadoran leaders have made statements suggesting openness to the idea but, apparently for different reasons, don’t want independent investigators upsetting the applecart. Salvadoran President Sánchez Cerén has less to fear from examination of his administration and his predecessor’s record on impunity and organized crime, but he may be concerned that a CICIG-style unit would dangerously aggravate his opponents, who retain intimidating power through many sectors. The failure to push for CICIG to realize its full potential in Guatemala and for similar mechanisms in El Salvador and Honduras will only slow the sort of reforms the Northern Triangle needs to overcome its political, social, and economic challenges crises. Sánchez Cerén has tried an array of sometimes contradictory tactics in response to the gang problem and the violence, creating an appearance of incoherence and ineffectiveness. Without disputing estimates of the spiraling death toll, he has blamed the right wing and the media for creating a crisis atmosphere. Over the past 10 months, he has attempted – and failed – to implement “community policing” strategies, which languish due to inadequate funding and planning, and he recently led several hundred thousand people in a march for “life, peace, and justice.” With mounting pressure on the President to adopt hardline approaches, he has pledged greater resources to arm and deploy special anti-gang units, and last week he announced intent to supplement the 7,000 military troops already dedicated to law-enforcement duty with the creation of three new “Gang Cleanup Battalions.” The government says that these 1,200 elite Army troops, strikingly reminiscent of the “Immediate Reaction Infantry Battalions” (BIRIs) that committed grave human rights abuses when deployed during the civil war, will be under civilian police control. The President’s moves are fraught with danger. His zigzags signal weakness to his ambitious political opponents and the gangs alike, and his political liabilities will only mount if, as almost all observers expect, the new battalions escalate the war in a manner that fuels extrajudicial killings and other human rights violations. Criticism from advocates of dialogue with the gangs, including negotiators involved in the previous truce, further weaken him. The fact is that the gangs, taking advantage of decades of state neglect of key sectors of society, have established strong bases of support in areas where the state’s presence and credibility are already nil or worse. The shift toward a militarized strategy, moreover, runs counter to the tragic lessons learned in Honduras and Guatemala. Going after the maras will entail battle in marginalized urban and rural areas that should be Sánchez Cerén’s and his FMLN party’s natural constituencies. In a lose-lose situation, Sánchez Cerén may be opting for the surer loss. After five and a half months in office, Salvadoran President Sánchez Cerén is still groping for ways to address the country’s pressing security concerns. According to official figures, the homicide rate has rebounded to 11 per day – compared to five or six per day for four months last year during a gang truce sponsored by President Funes and his Security Minister, General Munguía. Highly unpopular among Salvadorans and despised by the United States – the key partner in security issues – the truce turned out to be the most effective homicide reduction policy since the end of the Civil War. For Sánchez Cerén, however, the failure to renew the truce has proven to be politically toxic as violence has once again surged. Inside sources say that the new government has engaged in a quiet dialogue with gang leaders but refuses to publicly embrace it as a mainstay of its approach to security. Instead, Public Security Minister Benito Lara is pushing a model of community policing that has yet to prove effective and will be difficult to implement nationally. Low morale within police ranks, the unwillingness of citizens to cooperate with police in gang-plagued territories and, as always, the lack of meaningful resources to address social investment in poor and violent communities are undermining the policy. Two main elements of a successful approach – funding and political courage – are lacking. Truce implementation was supposed to be followed by a comprehensive social investment program called Comunidades libres de violencia (Communities Free of Violence), but it never got funded. Sánchez Cerén, moreover, has shown reluctance to take on the security issue. 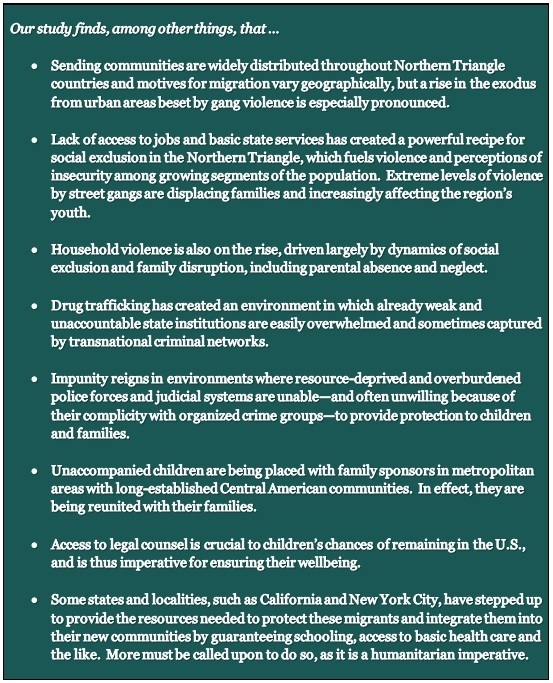 The United States, for its part, has provided millions of dollars in assistance under its Central American Regional Security Initiative (CARSI) for vetted units of special investigators, transnational law enforcement initiatives to combat gangs, police equipment and training, and prison management, but institutional weaknesses remain acute and violence has continued to climb. Moreover, many critics say the programs are flawed by a failure to condition aid on concrete government steps to end security forces’ impunity, corruption, and secret cooperation with organized crime. The days in which iron-fist approaches and fanfare-hyping law enforcement activity represented a credible security strategy have passed. Salvadoran politicians can no longer talk their way out of the security chaos by selling mano dura fantasies. The truce under President Funes helped gang leaders consolidate their influence and hone their political skills to the point that a solution to reduce homicides without gang leaders’ imprimatur is plainly not possible. As President, Sánchez Cerén has the opportunity to provide strong leadership, while addressing the public’s concerns, to pursue talks under clear conditions and with credible consequences for gang violations. In return for a gang promise to reduce homicides, stop recruitment in vulnerable areas, and end gang rapes, the President could credibly offer to allow them greater sway in prisons and to support social programs in affected communities. He can also commit to find the necessary resources. The elites will resist paying, but a mini-summit of the three Presidents of Central America’s northern tier and U.S. Vice President Biden hosted by the Inter-American Development Bank this week affords Sánchez Cerén a chance to make a bilateral pitch for help to Biden and a multilateral pitch to the IDB. He will have to steel himself for the political hits that will ensue, but without strong leadership, security in El Salvador will only continue to deteriorate. The former guerrilla leader must know that there is no easy solution at hand, but as President – validated by a democratic election – he has the responsibility and holds the power to act. President Evo Morales’s landslide election to a third term – fueled by a combination of moderate policies and fiery leftist rhetoric – portends continued stability in the near term, with still no indication of how his party will continue its project after him. Although official results have yet to be announced, and some preliminary data show Evo garnering around 54 percent of the vote, exit poll estimates gave Evo a massive lead of 60 to 25 percent over the next closest candidate, a wealthy cement magnate named Samuel Doria Medina. Regardless, the enormous margin separating Evo from his competitors precludes a runoff race. Doria, who also ran against Evo in 2005 and 2009, claimed that OAS praise for the elections before the polls closed was “not normal,” but he is not disputing the results and has conceded defeat. Congratulations to Evo poured in first from his left-leaning allies – Presidents Maduro (Venezuela), Mujica (Uruguay), Fernández de Kirchner (Argentina), and Sánchez Cerén (El Salvador) – but other voices soon followed. 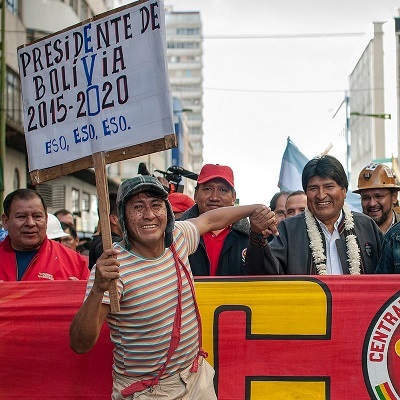 The victory set Evo on track to be the longest-serving president in Bolivian history since national founder Andrés de Santa Cruz lost power in 1839. His party, the Movement Toward Socialism (MAS), is also reported to have expanded its control of the Chamber of Deputies and the Senate, although vote tallies are not final. Evo has achieved things his domestic and foreign detractors said were impossible. While his rhetoric has been stridently leftist and anti-U.S. – he even dedicated his “anti-imperialist triumph” to Hugo Chávez and Fidel Castro – his policies have been decidedly pragmatic and disciplined, and the results have curried favor for him among foes. His economic czar has emphasized Bolivia’s commitment to “have socialist policies with macroeconomic equilibrium … applying economic science.” The economy grew 6.8 percent last year and is on course to grow another 5 percent this year. Foreign reserves have skyrocketed; Bolivia’s are proportionately the largest in the world. Poverty has declined; one in five Bolivians now lives in extreme poverty, as compared to one in three eight years ago. IMF and World Bank officials, whose policies Evo largely rejected, have grudgingly conceded he has managed the economy well. Some of his projects, such as a teleférico cable car system linking La Paz with the sprawling city of El Alto, have garnered praise for their economic and political vision. He even won in the province of Santa Cruz, a cradle of anti-Evo conspiracy several years ago. In foreign policy, he has good ties across the continent, but strains with Washington continue. The two countries have been without ambassadors in each other’s capital since 2008, and talks to resolve differences over the activities of DEA and USAID failed and led to their expulsion from Bolivia. Sixty-plus percent in a clean election for a third term – rare if your initials aren’t FDR – signals that Evo, like Roosevelt, is a transformative figure. No matter how brilliantly Evo has led the country, however, the big gap between his MAS party and the opposition suggests political imbalances that could threaten progress over time if he doesn’t move to spread out the power. Evo has given the MAS power to implement his agenda, but he has not given space to rising potential successors. He has said he will “respect the Constitution” regarding a now-disallowed fourth term, but it would take great discipline not to encourage his two-thirds majority in the Senate to go ahead with an amendment allowing him yet another term. It would be naïve, moreover, to dismiss out of hand the opposition’s allegations of corruption by Evo’s government, but his ability to grow his base above the poor and well into the middle class suggests that, for now, the fraud and abuse do not appear to be very debilitating … yet. Washington, for its part, seems content with a relationship lacking substance rather than joining the rest of the hemisphere in cooperating with Bolivia where it can. 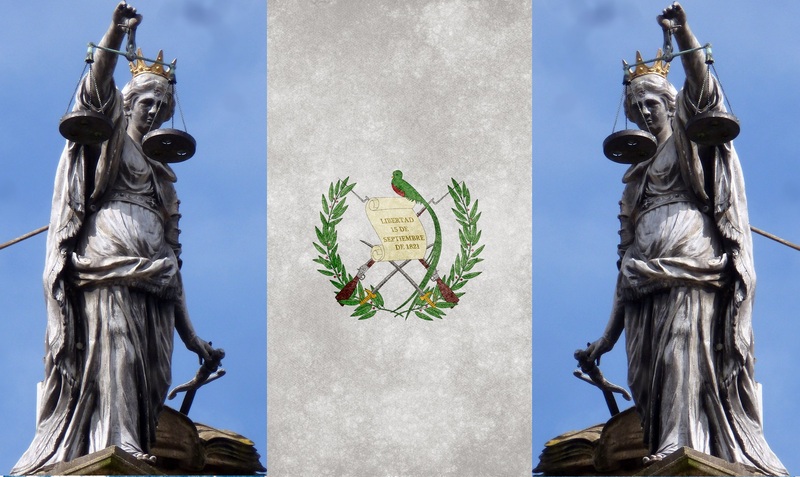 Other AULABLOG posts on this and related topics: ALBA Governments and Presidential Succession; Lessons from the MAS; and Will Bolivia’s Half Moon Rise Again? Twenty-two years after participating in the signing ceremony of the UN-brokered peace accord that ended El Salvador’s civil war, Salvador Sánchez Cerén, one of the FMLN’s top guerrilla commanders, was sworn-in as president last Sunday. The political reforms mandated by the Chapultapec agreement launched the country onto a sometimes tumultuous path toward a new democratic landscape that, at least on paper, included the alternation of power: for 20 years the ARENA party, representing the hard-right, ruled the country; in 2009, moderate Mauricio Funes, a popular TV journalist, and the FMLN established an alliance that took them to the Presidential Palace. 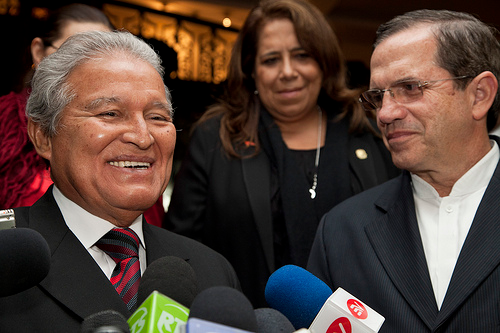 Through the prism of Sánchez Cerén’s recent victory, Funes’s was a transitional government. El Salvador now begins its first period under the rule of the former guerrilla party that fought an insurrectional war against the allies of Ronald Reagan´s Washington during the last years of the Cold War. Sánchez Cerén and the FMLN’s challenges are many – a stagnant economy; a private sector not used to a political system that doesn’t respond resolutely to its economic interests; a dysfunctional fiscal system; and one of the worst security situations in the world – with 14 homicides a day, growing gangs, and a reign of impunity inherited from the war years and perpetuated by organized crime’s success infiltrating state and political institutions. The new leadership will also have to deal with the interests of El Salvador’s most powerful neighbor and ally, the United States. The Obama administration sent a third-level delegation to Sánchez Cerén’s inauguration, and Secretary of State John Kerry did receive him in Washington before that. Among the first items on the bilateral agenda is El Salvador’s access to funds in a second compact with the Millennium Challenge Corporation (MCC), a $400 million program aimed at bringing fresh money to the underdeveloped and poor coastal areas. The program is on hold because MCC is not satisfied with the country’s Anti-Money Laundering and Asset Law and because San Salvador has not yet caved to pressure from the U.S. Trade Representative to buy agricultural products – mainly seeds – within the CAFTA region, which would favor U.S. producers. Washington’s reluctance to work with FMLN officers in law enforcement and security issues is another obstacle. So far, Sánchez Cerén and his cabinet have tried to play the U.S. relationship smart. But managing ties is not going to be a walk in the park. Despite public winks and carefully worded statements, neither side really trusts the other. But the bilateral connection is important to both. 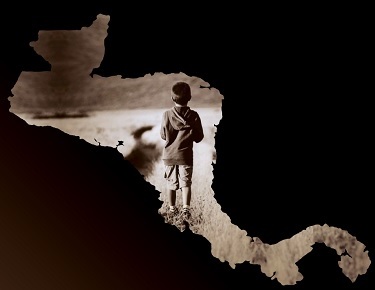 Roughly one third of all Salvadorans live in the United States, and, in the last several decades, Washington has appreciated El Salvador’s importance in a region where it is losing influence. The new government has sent a number of signals to Washington by visiting the State Department, engaging in most of the Treasury’s and USTR’s conditions on the MCC compact and launching an early dialogue with the international financial institutions. But Sánchez Cerén has made it clear that he will also heed El Salvador’s natural allies, albeit for practical rather than ideological reasons. Just this week, El Salvador requested formal acceptance to Petrocaribe, the Venezuelan economic and financial aid program. Dealing with violence, insecurity and financial problems will require fresh resources that the government will welcome wherever their origin. But it also seems possible that the new commander in chief´s patience with Washington’s style of diplomacy – such as pressure tactics to buy American agricultural goods – could be much shorter than that of his predecessors. The leftist FMLN in El Salvador and the centrist Partido Acción Ciudadana (PAC) in Costa Rica have won crucial elections, but their ideological labels don’t fully capture how they will relate to three decisive actors: legal capital (the private sector), illicit capital (organized crime) and the United States. The elections of Salvador Sánchez Cerén and Luis Guillermo Solís do not signal a strong turn to the left in Central America, but rather show that the population in both countries increasingly questions the political elites and institutions. Solís capitalized on the corrupt image of Costa Rica’s two traditional parties, and what tipped the elections in El Salvador were all those who feared the return of a corrupt and elitist right, whose dirty laundry was made public in feuding between ARENA and the breakaway party GANA. The new governments’ ability to restore confidence will depend firstly on how they relate to business and private capital. All the countries of Central America are included in the free trade agreement with the United States (CAFTA-DR) and have been generally pursuing market-oriented development strategies since the late 1980s, but economic elites are still dependent on the state for survival. Many build their business primarily on contracts with the state; all depend on the state involvement in infrastructure and services; but few are willing to pay sufficient taxes to allow their governments to face important challenges. Honduras, which has accommodated elites the most, may establish a free zone fully exempt not only from taxes but all government regulations. Nicaragua’s approach, under Daniel Ortega, is to build an alliance between the presidency and business, facilitated by Venezuelan assistance and growing integration into ALBA trade networks. Institutional weaknesses throughout the region make it difficult to bring organized criminal groups under control. In Guatemala, where congressmen frequently jump between political parties, organized crime easily buys political control and influence. Weak parties, weakened ideologies, and leaders’ unwillingness and inability to build a state capable of implementing policies for the common good also allow organized crime a strong grip over politics. In both Honduras and Guatemala, criminalization of politics has blurred distinctions between legal and illegal elites. 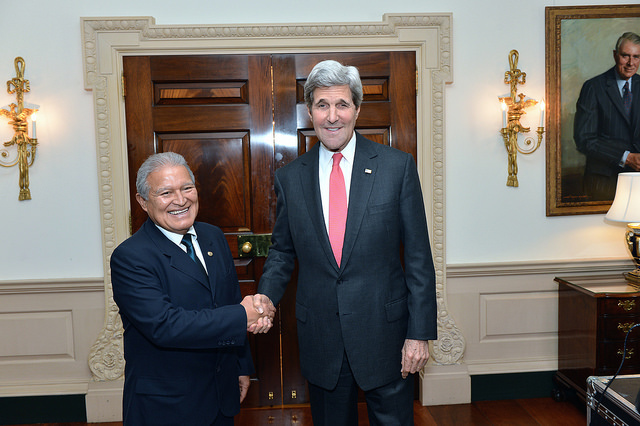 Central America’s relations with the United States also tend to hold it back. While South America has come a long way towards independence from the United States, many Central Americans believe the old hegemon does not intend to let go of their region. U.S. policy has in many ways become more sophisticated, but former members of governments speak freely of various methods the U.S. uses – often with the support of Washington lobbyists representing Central American rightwing elites – to restrict Central America’s room for maneuver. This overshadows debate in Central America over China’s influence and Brazil’s growing leadership. Taken together, these factors contribute to the conclusion that, even with winds blowing slightly to the left in Central America, the new presidents will have little space to make new policies. For former guerrilla Sánchez Cerén and former history professor Solís, their experience and wisdom may be their best assets to move forward their agendas. *Dr. Bull is Associate Professor at the Center for Development and the Environment (SUM) at the University of Oslo. El Salvador: Storm or calm ahead? The post-election crisis in El Salvador has been tense but generally peaceful – and, despite some tough talk and street scuffles, both sides appear prepared to accept the final vote tally when certified. FMLN candidate Salvador Sánchez Cerén still holds a tiny lead of about 6,000 votes of 3 million cast. The last polls released before the runoff contest last Sunday gave him a 10- to 15-point lead, obviously failing to reflect the success of a well-structured campaign of fear by ARENA to rebuild support for its candidate, Norman Quijano. The campaign, facilitated by mainstream media long sympathetic to ARENA, claimed that four more years of “leftist” FMLN rule would result in the sort of political instability and economy shortages that Venezuela is experiencing. ARENA proclaimed, “El Salvador, otra Venezuela.” Voting analyses suggest that the campaign and an energetic ground strategy rebuilt ARENA’s traditional base among the middle- and upper-middle class, enabling it to close much of the gap. Specifically, the first-round votes that went to former President Tony Saca – who had moved away from the ARENA hard right and even flirted with alliance with FMLN moderates – tacked back to the right. The FMLN won an additional 150,000 votes. ARENA’s heated rhetoric – Quijano’s invitation to military intervention was unprecedented in recent years – has been alarming, but most reports indicate that the TSE has retained credibility throughout the vote count and crisis. The TSE may soon be able to determine a winner, but the hard fact remains that his legitimacy will not automatically be accepted across party lines. If certified the winner, Sánchez Cerén will enjoy fairly solid party support but will have to moderate his approach from the start. A victorious Quijano, on the other hand, will sit atop a divided party – of which he represents the more conservative wing – and probably will also feel pressure to move toward the center. The campaign to portray the FMLN as the equivalent of Chávez’s party succeeded without a shred of evidence because, despite the FMLN’s relatively democratic and transparent governance over the past four years, many Salvadorans still lean right when afraid. Quijano’s suggestion that he has an inside track with the Army – harkening back to the days that ARENA indeed enjoyed near lockstep cooperation from the armed forces – may haunt him if he doesn’t restate his confidence in civilian democratic institutions. The U.S. Embassy has called on all parties to respect the TSE’s count and accept the final results. The two elections held last weekend reflected different states of mind in El Salvador and Costa Rica. In the former, FMLN candidate Sánchez Cerén didn’t win the majority necessary to avoid a runoff, but the rejection of the ARENA party was strong and almost nationwide. ARENA candidate Norman Quijano not only trailed by 10 percentage points; his party’s victory in only one of the country’s 14 departments – remote Cabañas – was a serious blow to its image. According to press reports, party infighting is intensifying. In Costa Rica, the eleventh-hour surge of a left-leaning progressive – Legislator José María Villalta – gave rise to a unified effort by the traditional parties to cast themselves as essential to warding off “Chavismo” and even Communism. 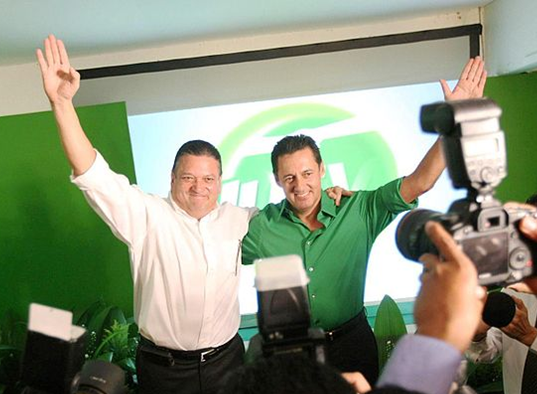 Commentators judged that Citizen Action Party candidate Luis Guillermo Solís ran a mediocre campaign, but he denied ruling National Liberation Party candidate Johnny Araya – whose large campaign coffers gave him a significant edge – a first-round victory, beating him by about 1.5 percent (but still far short of the 40 percent to avoid a runoff). Both candidates’ red-baiting tactics apparently got people out to vote – abstentionism was not higher than in the past as feared – and popular cries for change shifted to a mandate for the status quo. Jockeying for the second- round elections – on March 9 in El Salvador and April 6 in Costa Rica – has begun in both countries. The FMLN’s Sánchez Cerén appears likely to win even without a pact with former President Saca, formerly an ARENA standardbearer. In Costa Rica, Solís is widely believed likely to win, as Araya is burdened by a lackluster record as San José mayor for 21 years and by his party ties to President Laura Chinchilla, whose disapproval ratings have broken records in the history of polling in the country. Neither new president will have an easy time governing. Their legislatures are deeply fractured, and corruption and weak Executive Branch institutions will plague them as they’ve plagued their predecessors. ARENA appeared as weak as ever and, already showing signs of crisis, will need to retool. As it loses its access to the lucre of government treasury, it’s going to lose the glue that holds it together and infighting will persist and intensify. Costa Rica’s legislators, including those of the majority National Liberation Party (PLN), have in recent years shown little willingness or ability to put aside venal interests and engage in the serious business of policymaking. Insofar as they construe voters’ last-minute rejection of Villalta as a rejection of change, Costa Rican politicians probably judge that the coast is clear for business as usual.